Ransomware attacks are increasing rapidly and threatening home and business users around the world. Ransomware attacks can be very dangerous and harm your information and files without any possibility to recover it. In order to prevent and protect individual users and businesses against ransomware attempts, ShieldApps has developed Ransomware Defender and Ransomware Defender Business Edition. This article will reveal the main features of Ransomware Defender and Ransomware Defender Business Edition developed by ShieldApps. Shield Ransomware Defender provides users with scans, detection and advanced protection against malicious ransomware attempts. The application fights with known ransomware in a method that other security solutions are not able to apply. Ransomware Defender is designed to detect and block ransomware, blacklists and stops both common and unique ransomware attempts. After the installation, the application provides users with 24/7 active protection algorithms combined with alerts and notification system. The application is user-friendly and easy to use. In addition, Ransomware Defender is also completely automated and protects users via an advanced Scan > Detect > Lock Down mechanism. The mentioned method proactively stands guard to detected threats. It also works alongside other antivirus systems and anti-malware software. 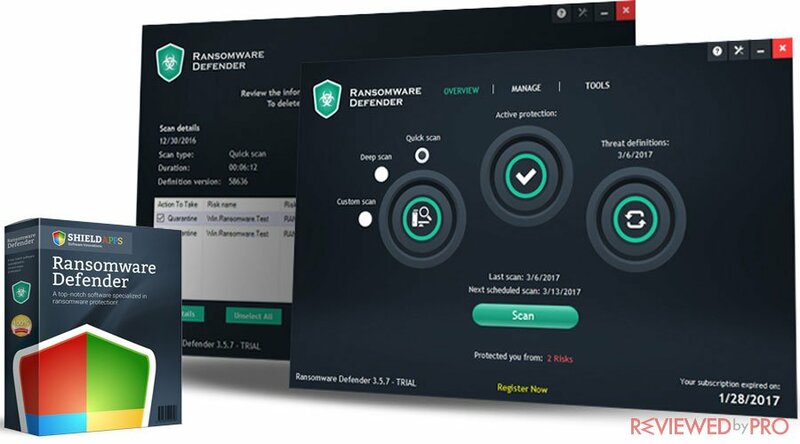 What is more, Ransomware Defender also includes a scheduled automatic scan, secured file eraser, lifetime updates and helpful customer support! What does Ransomware Defender highlight? Ransomware Defender is able to detect and remove any known ransomware before it infects the system. Ransomware defender provides users with deep scans that detect and uncover all the hidden ransomware in both high and low-level folders. Ransomware Defender provides overall protection at all times, adjustable schedule scans, and 24/7 real-time detection. Ransomware Defender offers users a complete hands-off option, proactively managing scans, advanced detection, and removal. Ransomware Defender provides reliable and by far the most advanced and comprehensive protection against ransomware. It also was the most downloaded anti-ransomware solution in 2017. What does Ransomware Defender feature? Ransomware Defender provides advanced protection against possible ransomware threats. Ransomware Defender applied advanced detection systems that enable the application to detect, locate and report about any potential threat in real time. Ransomware Defender provides advanced protection every day 24/7. Any suspicious or dangerous activity will be detected, blocked and reported to users, then deleted if needed. Ransomware Defender is fully automated and all required processes can be fully performed automatically. Ransomware Defender enables users to schedule automated scans according to their needs and frequency. Automated scans ensure that users will not forget to manually scan their system, ensuring complete protection. Ransomware Defender automatically updates itself daily. This is how it ensures the most comprehensive and accurate protection against the latest ransomware attacks. Ransomware Defender provides users with advanced data protection against tracking and abuse by using the latest browser privacy technologies. Ransomware Defender enables users to remove any suspicious application and every file related to it. So if you think that an application might contain a threat, you can block and delete it easy by using secure file eraser. Ransomware Defender is compatible with Windows devices that run Windows XP, Windows Vista, Windows 7, Windows 8, and Windows 10. ShieldApps has developed Ransomware Defender for businesses. Ransomware Defender Business Edition scans, detects and protects end-points from ransomware attempts. It also blacklists and stops common and unique ransomware. Ransomware Defender Business Edition, just like Ransomware Defender, provides 24/7 active protection algorithm, that comes together with s user-friendly alerts and notification system. 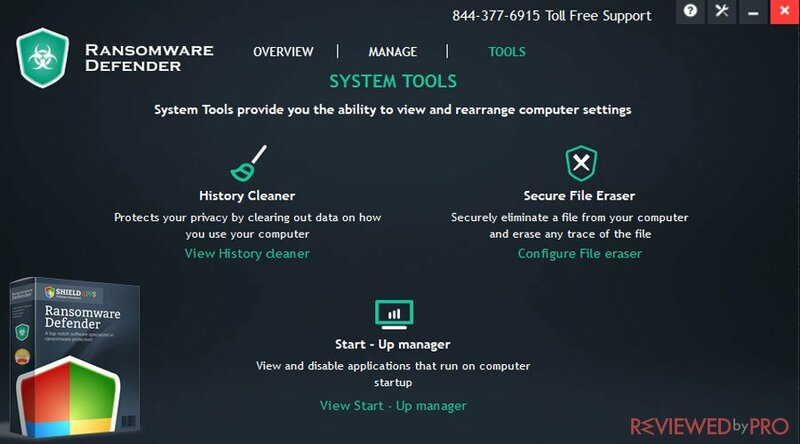 In addition, Ransomware Defender Business Edition is fully automated and takes care of all potential threats via advanced Scan > Detect > Lock Down mechanism that protects your businesses’ endpoints and works alongside all main antivirus systems and internet security software. Armed with comprehensive detection & blocking mechanisms. Ransomware Defender brings your business' end-point safety & defense to a new level! What does Ransomware Defender Business Edition Highlight? 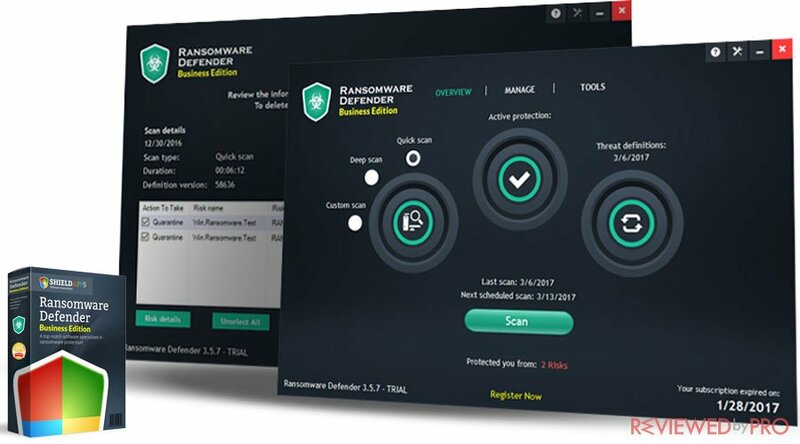 Ransomware Defender Business Edition provides advanced detection and removal of any known ransomware before it can take any action and hard the end-point. Ransomware Defender Business Edition provides a deep scan function that finds and uncovers hidden ransomware in both high and low-level folders. Ransomware Defender Business Edition safeguards your business IT infrastructure from ransomware attempts at all times. It also provides adjustable scheduled scans and 24/7 real-time detection mechanism. 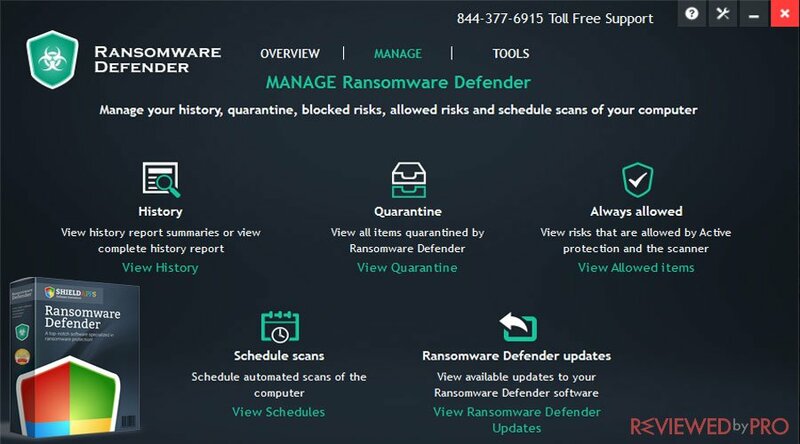 Ransomware Defender Business Edition provides a totally automatic, proactive protection, scans, detection, and removal, in order to protect your business against ransomware attempts. What does Ransomware Defender Business Edition feature? Ransomware Defender Business Edition always keeps an eye out for potential ransomware attempts. Advanced detection system located and informs users about all potential threats and suspicious activities. The active protection and notification system is always awake and protects you 27/4. It detects and stops any suspicious activity, reports you about it and removes if needed. Ransomware Defender Business Edition is fully automated and all needed processes will be performed automatically. Scheduler scan/clean action feature allows you to scan your system at your desired frequency and timing so you know that your system is always scanned and protected. Ransomware Defender Business Edition also updates itself automatically on a daily basis, ensuring the complete protection against the most recent threats. The latest browsing privacy technologies that Ransomware Defender Business Edition applies, provides your business advanced private data protection against tracking and abuse. Secure file eraser feature allows users to remove any suspicious application and every file related to it. ShieldApps provides users with award-winning technology and products that enable them to enjoy the secured and smooth experience. The company has over ten years of experience in the software development and reselling markets. ShieldApps develops products and services for both, home and business users. It supplies national and international companies with security and optimization software and provides home users top-tier software. ^ Shield Ransomware Defender. ShieldApps. ^ Shield Ransomware Defender Business Edition. ShieldApps. 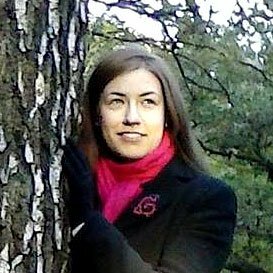 This entry was posted on 2018-02-22 at 08:06 and is filed under News.